A multi-purpose anti-static spray that removes the electrostatic charges that attract dust particles and cause static electricity. Eliminates static shock and static cling. Safe to use on a wide range of inanimate objects. 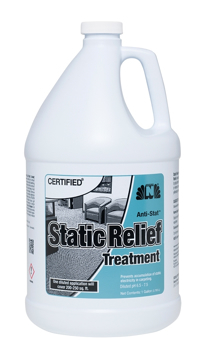 Eliminates static electricity shock caused by electrical charge buildup in carpet.